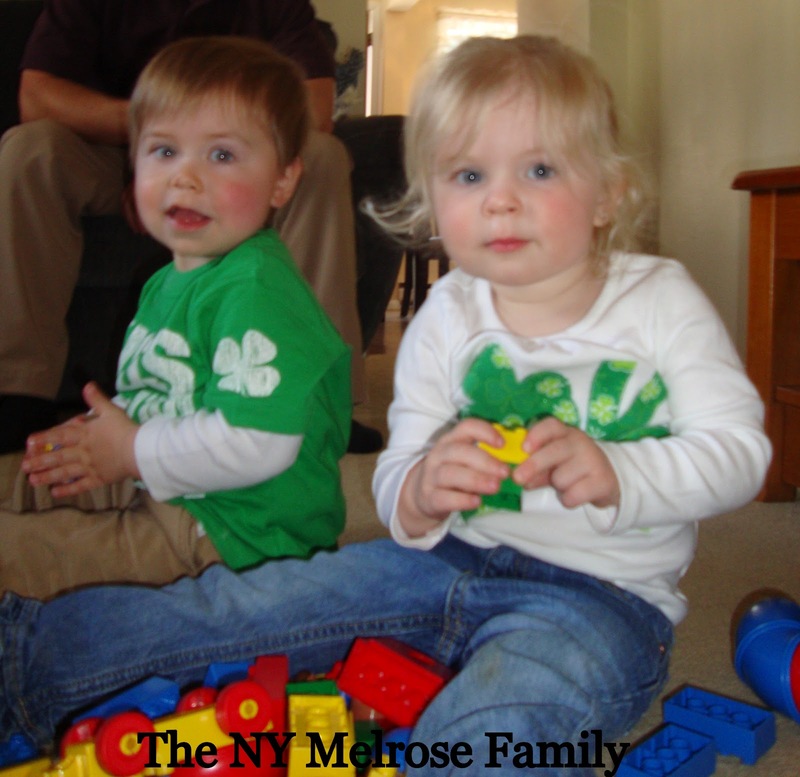 We had a fabulous St. Patty’s Day at the Melrose Household. We started off with Riley finding out how mischievous leprechauns can be. If you missed it you can find the video here. 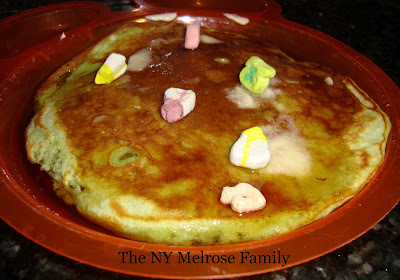 We then had green, lucky charm pancakes. That’s right, we like to sugar Riley up. It makes the day interesting! 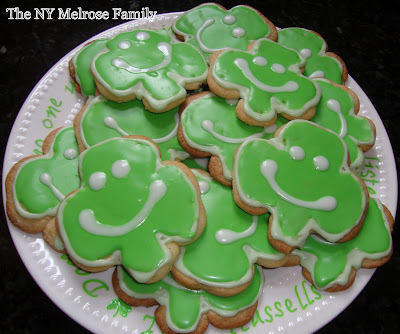 Riley and I then iced our shamrock men sugar cookies to bring to Grandma’s house. 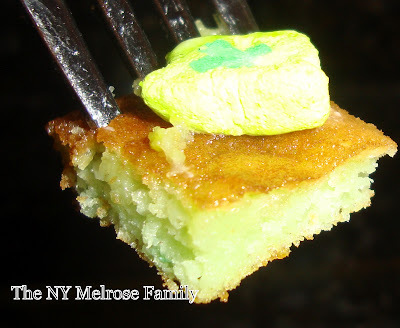 The plate is similar to the Irish Blessing Plate, except I made one for my mom. 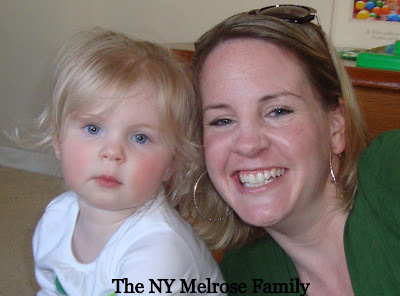 It was a surprise though because I told her she had to be happy with her Shamrock Mug. 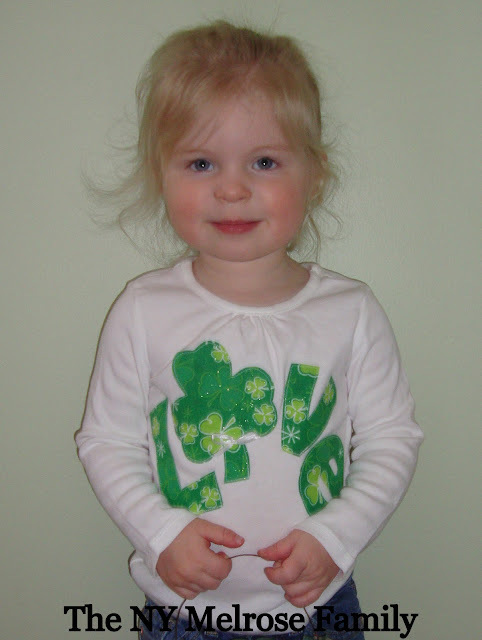 I, of course, had to get a picture of Riley in her Shamrock Love shirt, which was made by Two Sasters. They will be featured this week so you’ll be able to learn all about how fabulous Cari and Cortnee are. Last, but not least, Riley and mommy. My baby isn’t a baby anymore! I hope you all had a wonderful St. Patrick’s Day. We had beautiful weather and got to spend the day with family. What more could you ask for? She is so adorable! And I love her shirt! OMG, Jenny she is the cutest lil sweet-ums EVER!! And yes she will always be your “baby” Your Green day looked pretty fab lady!! Loving that shirt on her! Super Cute! Those cookies look awesome! Such adorable pictures of the little one too 🙂 Looks like you had a great St. Pattys Day! hahaha, sugar her up to make the day interesting. that's great 🙂 Her shirt was adorable…looking forward to the feature I'm sure i'll end up buying something!